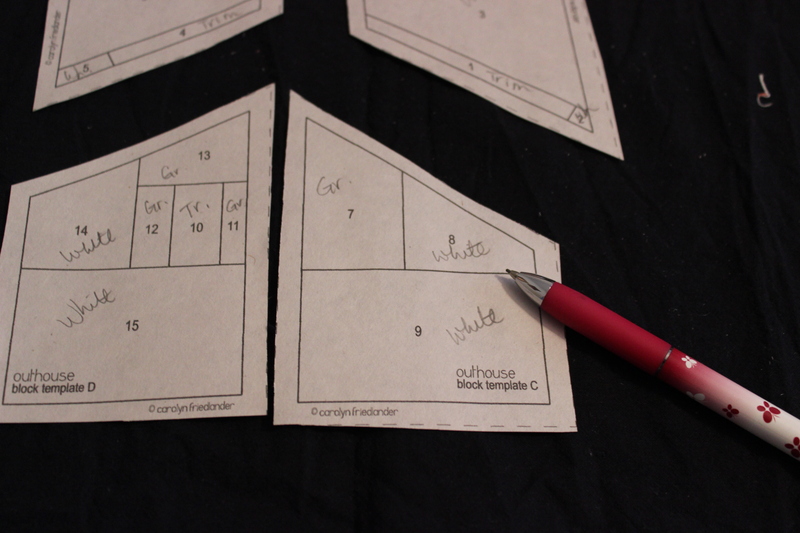 After completing my Aerial quilt, which was all paper-piecing, I said, “never again.” But, then I got involved with the Shirt Swap hosted by MayChappell blog, and I made some paper-pieced shirts. The next round of the Shirt Swap includes the Outhouse pattern by Carolyn Friedlander (shown above). 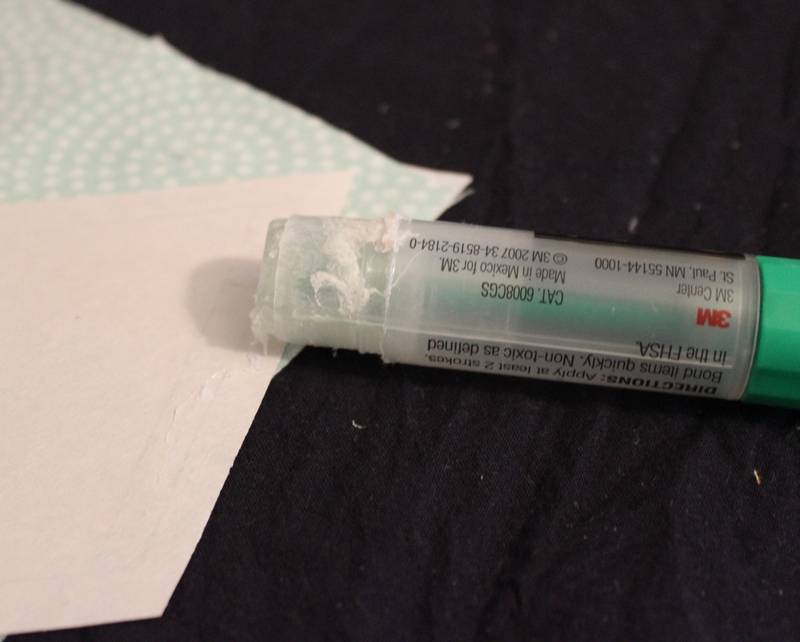 For those long tiny pieces I use a glue stick to attach the paper to the fabric. A pin works well, too. 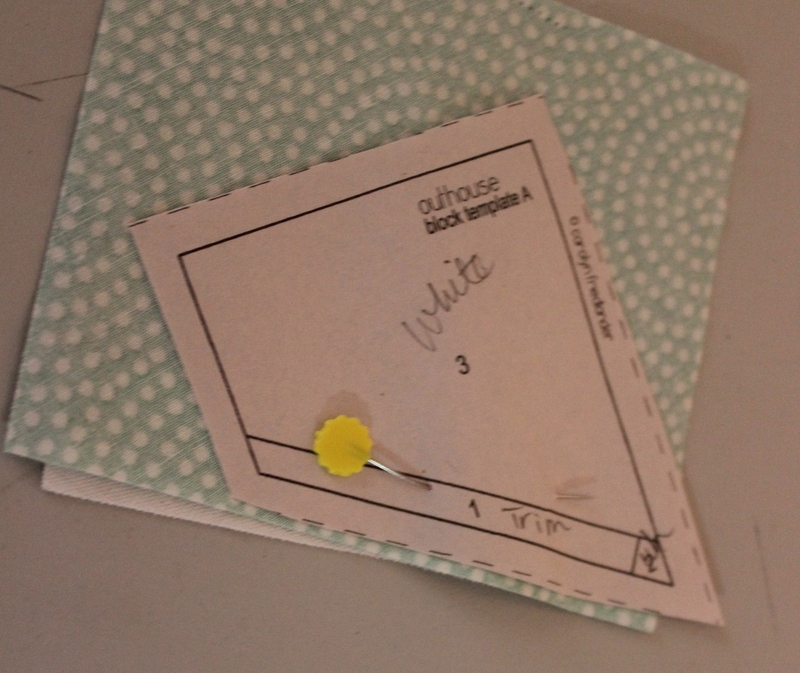 I use an index card to crease the stitch line. It’s a guide for my Add-A-Quarter ruler (below on the right). 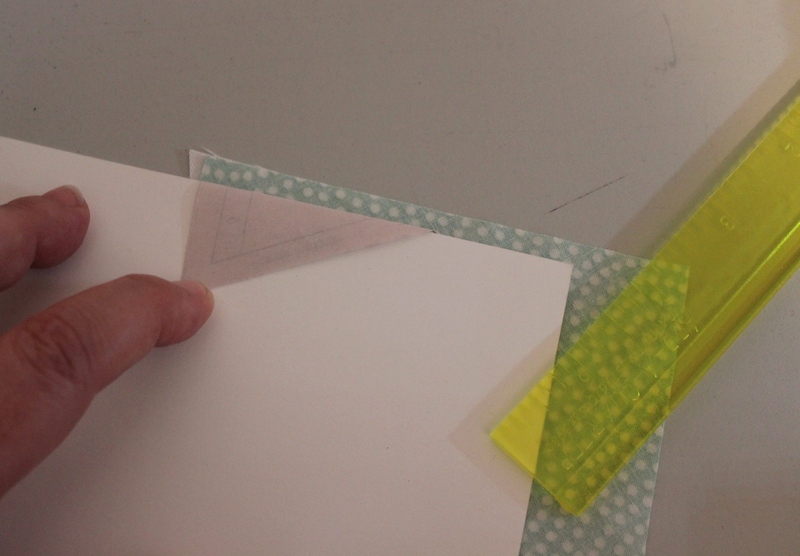 I slide the ruler lip up to the card and cut the one-quarter inch. Look at that perfect one-quarter inch. REMOVE PAPER FROM THE SEAMS. 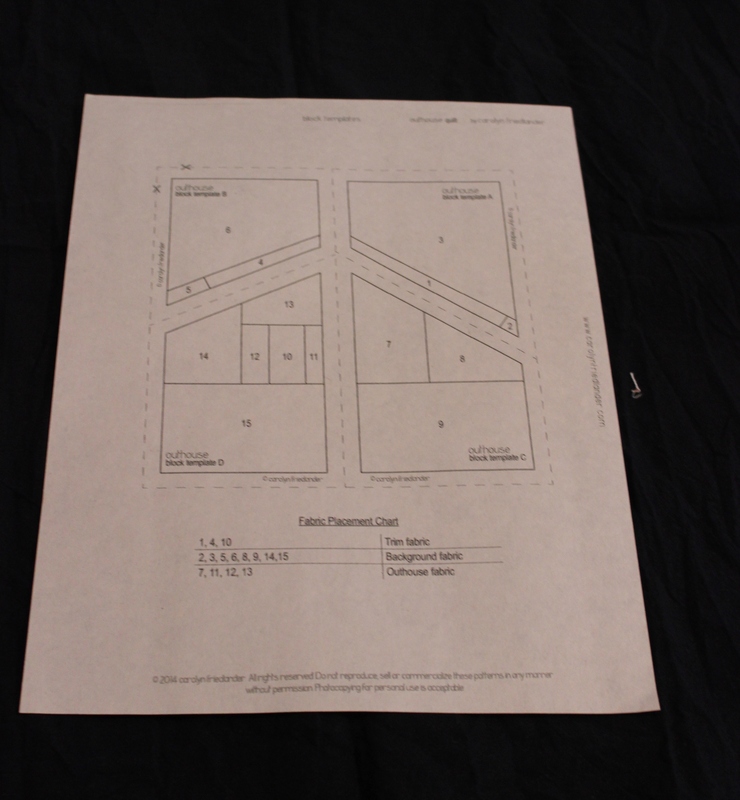 For this block there are four parts which are attached ultimately with three seams. 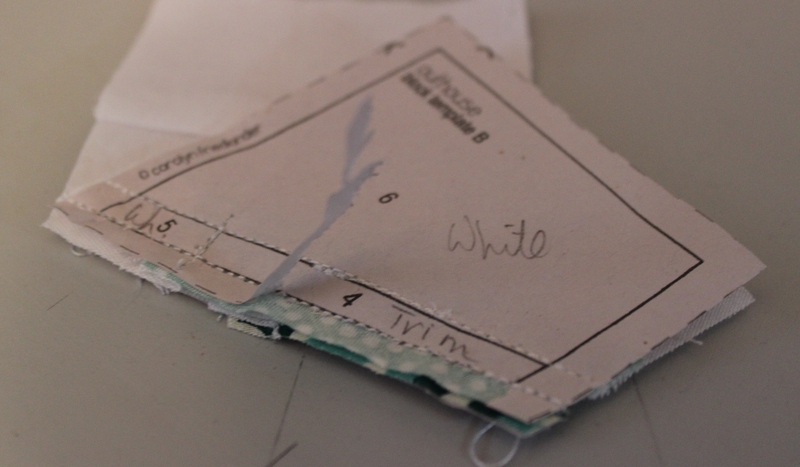 I tear away the paper from the seams so that there is less bulk when I sew the last two sections together. I love this little house with the bright red door. 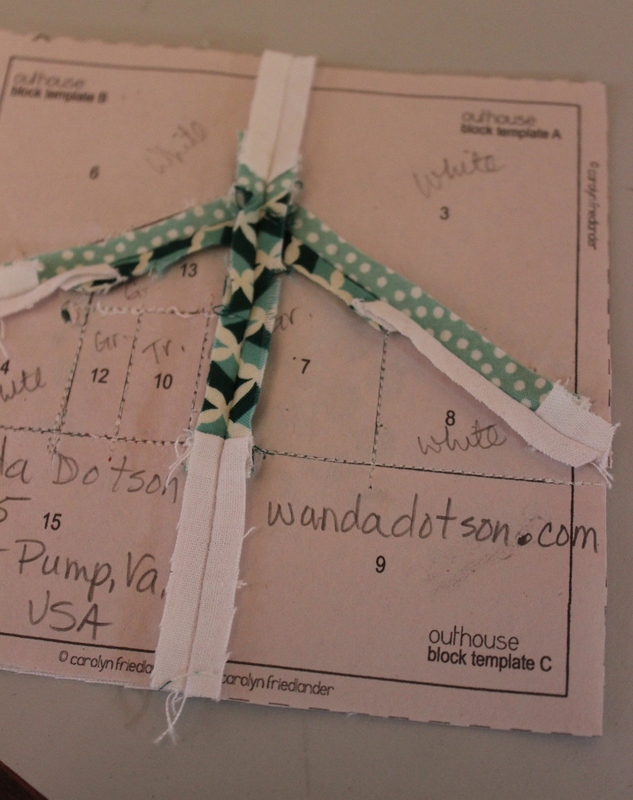 Outhouse is new to my paper piecing line, and honestly, it’s just a fun pattern. 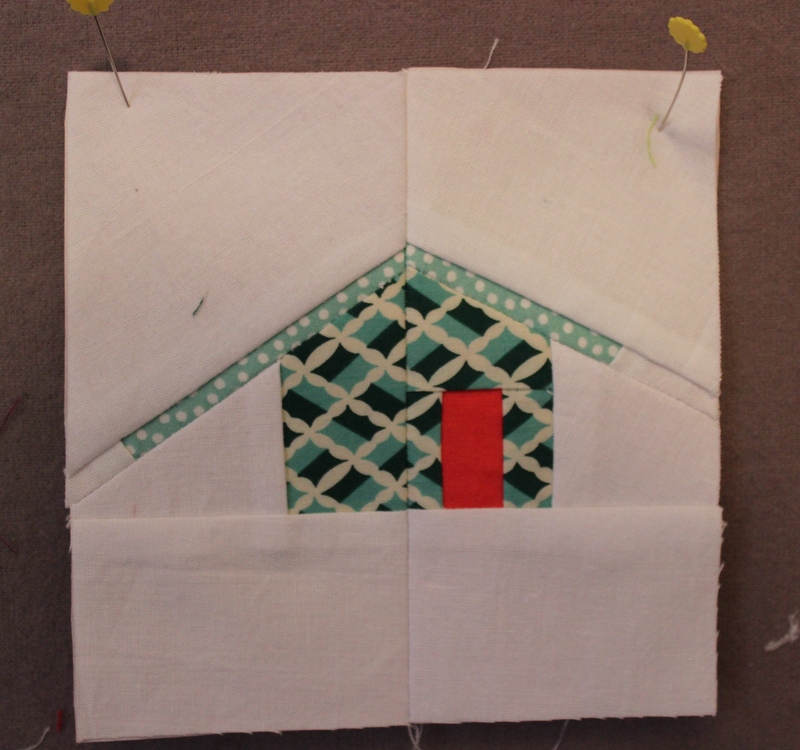 I had the idea of simple but quirky little houses that you could further personalize and flavor with fun fabric choices. At my new place, I actually have a funky little outhouse that the previous owners built themselves. There’s a great view of it from my office, and so I’m sure that looking at it everyday has played into the speed with which I’ve been able to add this source of inspiration into my pattern line. I have no clue if Carolyn’s previous owners built an outdoor toilet or just a “quirky little house.” Oh well, these houses remind me of the cellar from my childhood home. It was nestled into the mountain and stored garden potatoes, jars of blackberry jelly, green beans and vegetable soup, and lots of other goodies — maybe a spider or two. “Mountain Cellar” is my new name for this quilt block. It just smells better.